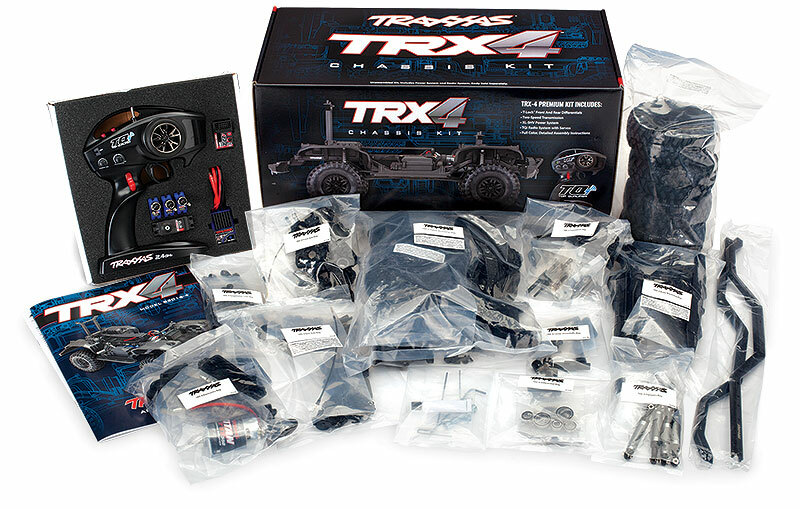 The TRX-4 Chassis kit arrives ready to be assemble with a full-color instruction guide, a TQi 4-channel 2.4GHz radio system and complete waterproof electronics including servos, XL-5 HV ESC and a reverse rotation Titan 21T brushed motor. Important parts like the shocks and suspension links come pre-assembled to make the build easy and fun. Choose your own prefered body, battery and charger (sold separately) to complete your custom TRX-4 ride.